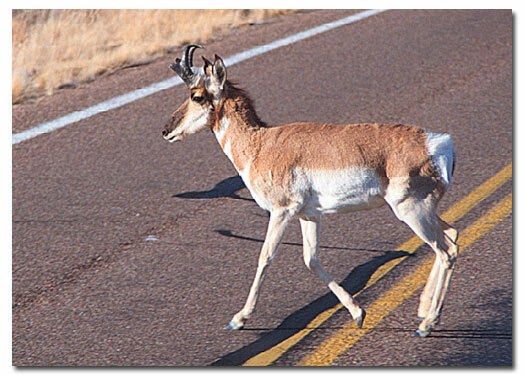 Located on both sides of Interstate 40 between Gallup, New Mexico and Holbrook, Arizona, Petrified Forest National Park is best known for its brilliant displays of petrified wood and views of the Painted Desert. Less known, but equally impressive, are the extensive deposits of Triassic-age fossils -- including dinosaurs -- and the remnants of prehistoric Anasazi pueblos. Since earliest times, a well traveled east-west trade route has followed the Puerco River through this area of eastern Arizona. Ancient and prehistoric Indians, as well as explorers, hunters and pioneers, used the trade route to travel to Baja, California and the Pacific Coast. Later, the transcontinental railroad followed this route, then the transcontinental Highway -- U.S. Route 66 -- and today, Interstate 40 runs right through Petrified Forest National Park. Archaeological sites throughout the park reveal a human history in the area going back more than 2,000 years. Archaeologists haven't discovered the entire story, but there were separate occupations, a cultural transition from wandering families to settled agricultural villages, pueblos and trading ties with neighboring villages. Then this story of early peoples, told by potsherds, rubble and pictures on the rocks, fades about 1400 AD. The Puerco Ruins were occupied by the Anasazi twice, from 1100 to 1200 and 1300 to 1400 AD, but Spanish explorers found no human habitation here when they arrived in 1540. Indian petroglyphs adorn Newspaper Rock and occur throughout the park. The first official reports of petrified wood in this area came from an army officer who led an expedition down the Zuni and Colorado Rivers in 1851. Five years later, Amiel Whipple, a U.S. Army mapper and surveyor for the transcontinental railroad, came into this area and carried back stories of the remarkable "Painted Desert and its trees turned to stone." Next, farmers, ranchers and sightseers ventured into the area and mined the petrified wood for souvenirs and semi-precious stones. As commercial enterprises increased, territorial residents recognized that the supply of petrified wood was not endless and acted to protect the area from further exploitation. 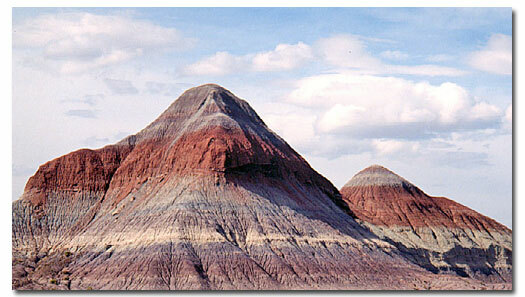 On December 8, 1906, President Theodore Roosevelt set aside "selected forests" as Petrified Forest National Monument. In 1932, some 2,500 acres more of the Painted Desert were purchased and added to the Monument. On December 9, 1962, the area became Petrified Forest National Park, and in 1970, 50,000 acres were further set aside as a wilderness area. Only a scant amount of vegetation grows among the deeply eroded soft clay hills, but vegetation flourishes in the volcanic soils along the rim. Juniper and cliffrose are prevalent along the rim, as they are in much of the Colorado Plateau at this elevation of 5,500 feet. Fossils of some of the earliest dinosaurs, strange giant reptiles, weird-looking plants, and unusual fish have been found at the park since 1981. Nicknamed Gertie, one dinosaur discovered in 1984 was new to scientists at the time and has been determined to be one of the first dinosaurs: Chindesaurus bryansmalli. Supported by donations, fossil research continues to reveal life in Triassic forests of 225 million years ago. 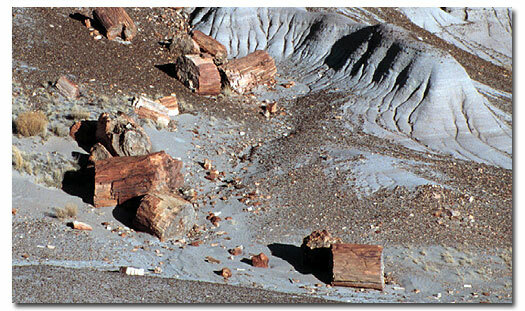 The geology of Petrified Forest National Park is similar to many other parks of the Colorado Plateau. Erosional landforms, sculpted from flat rocks characteristic of arid regions, dominate the scenery. 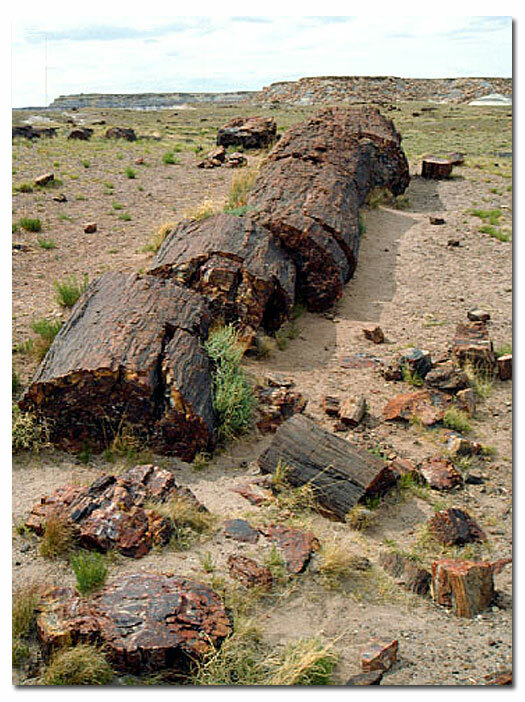 But here, embedded in the Chinle Shale formation, thousands of petrified logs appear in an array that is unsurpassed for variety and profusion anywhere else in the world. This high, dry tableland surrounding Petrified Forest National Park was once a vast floodplain crossed by many streams. To the south, tall, stately pine-like trees grew along the headwaters. Crocodile-like reptiles, giant fish-eating amphibians and small dinosaurs lived among a variety of ferns, cycads, and other plants and animals that are known only as fossils today. The tall trees -- Araucarioxylon, Woodworthia and Schilderiafell -- were washed by swollen streams into the floodplain. There they were covered by silt, mud and volcanic ash, and this blanket of deposits cut off oxygen and slowed the logs' decay. Gradually silica-bearing ground waters seeped through the logs and, bit by bit, encased the original wood tissues with silica deposits. Slowly the process continued, the silica crystallized into the quartz, and the logs were preserved as petrified wood. 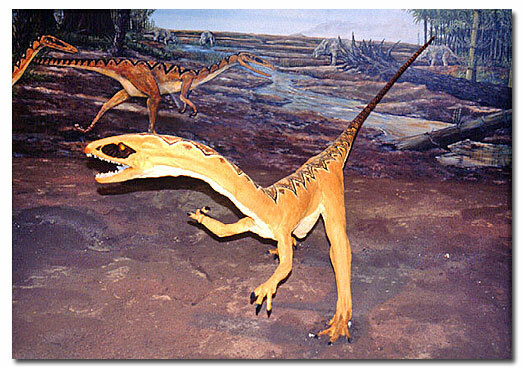 That was about 225 million years ago in the late Triassic Period. After that time, the area sank, was flooded and was covered with freshwater sediments. Later the area was lifted far above sea level, and this uplift created stresses that cracked the giant logs. Still later, in recent geological time, wind and water wore away the gradually accumulated layers of hardened sediments. 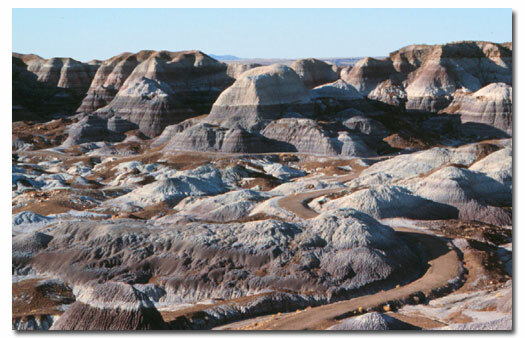 Now the petrified logs and fossilized animal and plant remains are exposed on the land's surface and the Painted Desert has its present sculpted form. Today the ever present forces of wind and water continue to remove sediments. Erosion continues to break down the giant logs and expose the logs and other remaining fossils still buried below the surface. In some places, up to 300 feet of fossil-bearing material remains. The petrified logs, the other fossils of plants and creatures that lived in the area, and the rocks locking them in place, all testify to changes in the environment through millions of years.